Here are some Frequently Asked Questions about migrating from Salesforce to Zoho CRM. 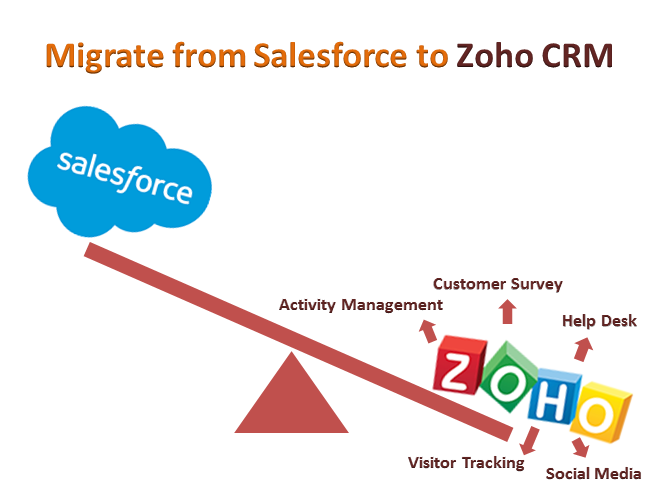 Is migrating from Salesforce to Zoho CRM complicated? 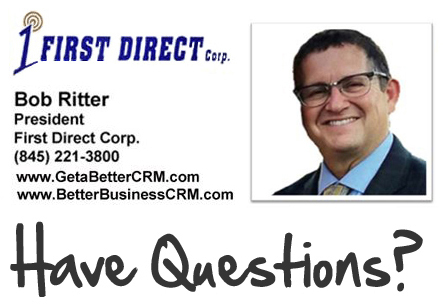 One might think migrating from one CRM system to another is a complicated and expensive endeavor. However, with Zoho CRM this is NOT the case. Zoho CRM has a built-in data migration tool specifically designed to move your Salesforce data into Zoho CRM, removing the pain from the process. Can you explain the migration process? What modules can be migrated from Salesforce to Zoho CRM? What if I have custom modules in my Salesforce instance? No problem. Custom modules can be created and mapped on-the-fly within Zoho CRM’s data migration tool. What if we’ve added custom fields to our Salesforce modules? Also not a problem. Within the Zoho CRM data migration tool, custom fields can be mapped to either existing Zoho CRM fields, or you can easily create new fields on-the-fly for mapping. How do we know that the migration was successful? – If there are any data/structural issues with your upload file. – What percentage/number of Modules you’ve mapped. – What percentage/number of Fields you’ve mapped. – One-click “undo” if you want to remove the imported data and try again! How much does the Zoho CRM migration tool cost? Nothing. The migration tool is FREE with your Zoho CRM/Plus/One subscription. Is Zoho CRM’s data migration tool included in the trial version? Yes! You can migrate your Salesforce data into Zoho CRM even before you decide to start your paid Zoho CRM subscription. Ok, this all sounds great. Anything else we should consider when migrating? – Reports and Dashboards – What Salesforce reports and dashboards will need to be created in Zoho CRM? – Third-party Apps and Services – If you are integrating Salesforce with any 3rd party apps or services, check to see if Zoho CRM has similar integration options. It probably does! – Custom Workflows and Functions – If you have any custom automation setup in Salesforce, you’ll want to map out how to get it done within Zoho CRM. What if we need help with our Salesforce to Zoho CRM migration? Have no fear! Your Zoho CRM subscription includes free 24/5 support with Zoho’s technical support team. However, for a more tailored Zoho CRM “onboarding” experience, you may call on our professional services here at First Direct. From project planning, to data migration, to end-user and admin training… We can help you along every step of the way! We can help you plan your escape for a smooth migration from Salesforce to Zoho CRM.